Could You be Banking with a Criminal Enterprise? Are You Banking with a Criminal Enterprise? As Mark Twain would say, history rhymed on May 20th when four of the world’s largest banks – including JPMorgan Chase and Citibank here in the U.S. – agreed to plead guilty to criminally rigging currency markets and pay $5.7 billion in fines. A bank hadn’t accepted criminal charges in the U.S. for almost 30 years. Remember the name Michael Milken? His firm, Drexel Burnham Lambert, was the fifth largest investment bank in the U.S. when it pled guilty to criminal charges including mail fraud, wire fraud, and securities fraud in December 1988. It paid $650 million in fines. The other part of Twain’s famous expression also fits. History won’t repeat. No one expects JPMorgan Chase or Citibank to share Drexel Burnham’s fate. Just over a year after admitting it was essentially a criminal enterprise, that firm filed for bankruptcy and dissolved. However, based on the outcome last time Chase and Citi behaved deplorably and got into a jam, it is safe to assume the folks in Washington DC won’t let them implode. Both firms got a bailout during the financial crisis for issuing too many “liar loans” on real estate mortgages and for losing huge bets on derivatives that no one fully understood. Today they are ensconced on a list of Global Systemically Important Banks. 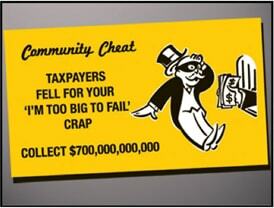 “Too big to fail” isn’t just a phrase, it’s an official designation. History is neither rhyming nor repeating when it comes to criminal convictions of the people involved. Milken, Drexel Burnham Lambert’s most infamous trader, went to prison for insider trading and other crimes. It appears he should have spent more time cultivating friends in the right places! 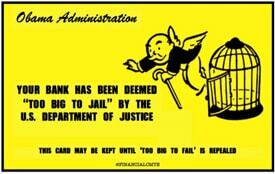 Too Big to Jail: No One at the Dishonest Banks Will Be Charged! “Too big to jail” is also more than just a phrase these days. No person at Chase or Citi is facing criminal charges related to rigging the currency markets. Strange, but those charges are directed only at the corporations, not employees or executives. And officials agreed to waive the most severe penalties, the kind that can actually destroy a bank via restriction of future trading activities, before accepting the banks’ guilty pleas. Leaders at these banks anxiously explain the misconduct is limited, not pervasive, and certainly not at the top levels of management. "The conduct described in the government's pleadings is a great disappointment to us. We demand and expect better of our people. The lesson here is that the conduct of a small group of employees, or of even a single employee, can reflect badly on all of us, and have significant ramifications for the entire firm." Dimon must not have been asking too many questions about how, exactly, traders in his firm managed to achieve such extraordinary results. Chase trading operations were profitable for literally every trading day through the first three quarters of 2013. We now know something about how they accomplished this seemingly impossible feat. It wasn’t acumen and skill behind those massive profits. Major U.S. banks are allied with the U.S. government in the war on cash. Chase is currently test piloting a new program to restrict cash in Cleveland. 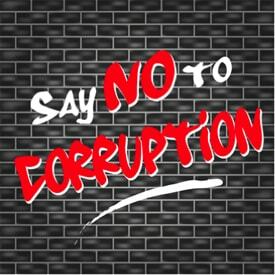 If you like using cash and transacting in private, you should go elsewhere! Banks such as Citi and Chase may be “too big to fail,” but the same cannot be said for your accounts there. Most believe the funds they deposit in checking or savings accounts belong to them. They don’t. Bank deposits become the property of the bank and account holders are unsecured creditors. Anyone counting on FDIC insurance to cover losses should think twice. Credit unions offer lower fees and lower interest rates on loans and pay higher interest rates on deposits. Credit unions typically carry far less leverage and do not speculate in derivatives markets – the kinds of shenanigans mega banks favor. Nobody likes the ethics on display along Wall Street, so why send your money there? Big banks have paid more than $184 billion in fines for 174 cases involving rotten dealings since 2009. Until customers finally start leaving, banks will consider it simply a cost of doing hugely profitable, albeit unethical, business. If major U.S. banks and their executives are going to be held accountable, it will be at the hands of the market, not the justice system. Are you still supporting them with your business? If so, now would be a great time to switch to a credit union or a conservatively run smaller bank. It would also be a good idea to convert some bank savings to savings in physical gold and silver where there is zero counterparty risk – something you won’t find anywhere in the financial system.